RE-RELEASED in a special Ten Year Anniversary edition! With a new foreword, a new afterword, and a light sprinkling of other new words. Forty shorties. Paperback. Brightens up any coffee table. You can buy it now from Amazon.com or from Powells Books. 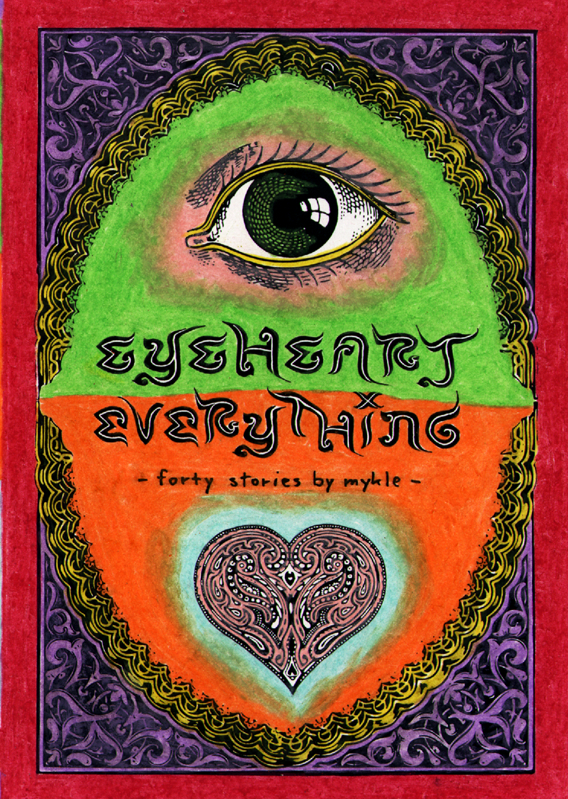 Mykle Hansen’s Eyeheart Everything is back in print! | Are you there Narcissism? It's me, Caris.